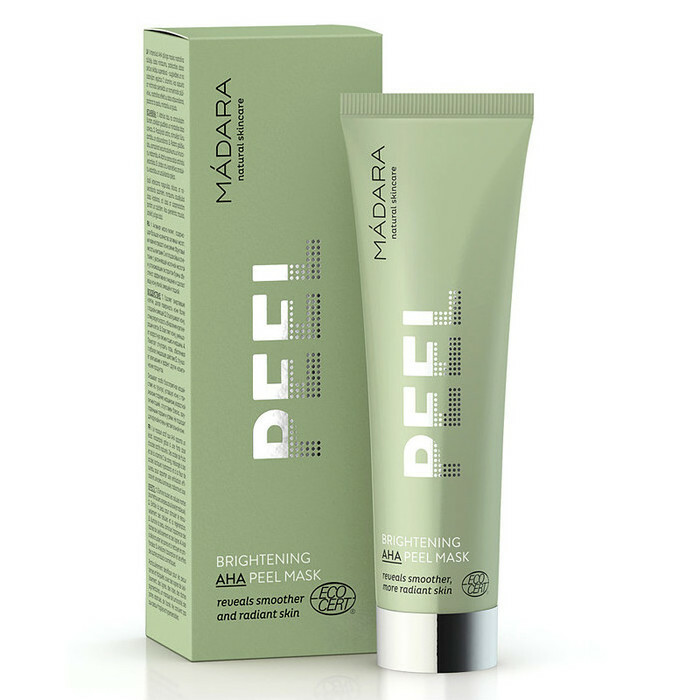 Madara Brightening AHA Peel Mask combines nature's active fruit acids, Vitamin C from Quince, hydrating lactic acid and soothing Elderflower extract, and is ideal for skin that is dull, showing signs of ageing, or suffers from blocked pores or acne. This natural, rinse-off mask is designed to exfoliate the skin to stimulate cell turnover and regeneration, remove dead skin cells, deeply cleanse the skin and unclog pores, diminish the appearance of age-spots and lines, and leave skin looking fresh and radiant. Please note that it is not suitable for those with fragile, hypersensitive skin. Made in Europe, Natural, Vegan, Cruelty Free, Gluten Free. 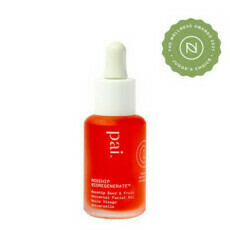 Apply a thin and even layer on the face, neck and décolletage, avoiding the eye area. Leave on for 5-10 minutes, then remove with lukewarm water. Pat skin dry and apply your favourite moisturiser. I don't find that this mask makes my skin sting or get irritated, my cheeks got a bit red the first time but nothing major. I purchased it to try and tackle the blackheads on my nose. The rest of my skin is fine and doesn't need treatment so I have been using the mask only on my nose. Because you only apply a thin layer I think this will last me a long time. I have used it now for about 3 weeks and have noticed a bit of a difference so I will keep it up. Can't afford the expensive facial treatments so this is the next best thing! 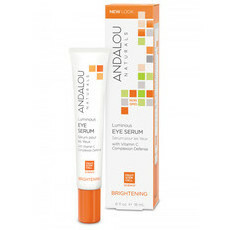 I really love this product because it instantly brightens..(or could be placebo;)) I have quite sensitive skin and the tingly sensation is a bit much though tolerable.